Quote of Vinexpo: “We’ve stopped adding Sprite to our wine, but you still add milk to your tea” Anita CHENG : Marketing Director of Domaine Franco Chinois citing Chinese and US cultural differences. Boom – take that world! We’re almost at the end of our Vinexpo 2015 journey together, however there are no signs of a wind down just yet – the world’s biggest wine show in Bordeaux seems to be just hitting it’s stride. The sunshine seemed to bring out he crowds, along with a hustle and bustle atmosphere within the main room. This was most evident in the waiting list line up for the Gault & Millau l’ateliers, showcasing famous chefs and star sommeliers in action. A big lesson here for exhibitors is that people are by nature greedy (myself included), and want a little nosh to go with their wine (so much so that one visitor to the Rigal stand mistook the ‘terroir’ rocks on display for edible treats). After a brief meeting with fellow writers, and quizzing a few producers, it’s been decided that the most lucrative business here would be a foot massage service. Stiletto clad ladies and sensible shoes wearing men alike have literally been crying out for some sweet relief. This line of thought then extended to introducing a refreshing wine based electrolyte drink – however I can report that Berocca, Aperol and soda water mix is a solid pick-me-up. this woman needs an Aperol and a Berocca! Most bling bottle: The team at Camus have produced an Extra Dark & Intense Cognac, reviving an old method of warming old (almost black) barrels to extract residual cognac that is then absorbed by the new liquid. 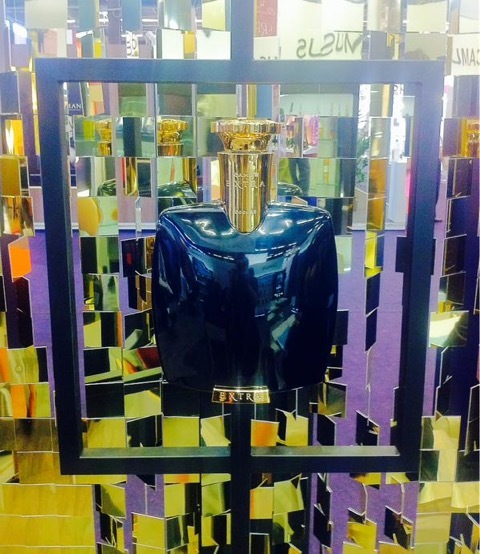 The sleek black bottle, with golden top, marries the outside appearance with the story of golden nectar inside. Well played. 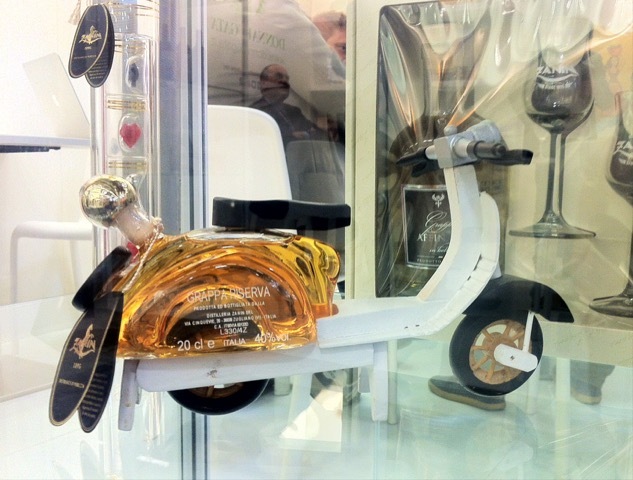 Novelty award: Why use a bottle when you can use a mini-Vespa to package your Grappa. Full marks to Zanin for thinking outside the bottle there (ha- punny). Steve Jobs of Wine: Philippe Lejeune, winemaker of Chateau du Chambert, is originally an IT guy – developing and patenting software to analyse his wines. Ironically, a man so tech focused still uses the ancient Mini-tel in the winery – seems to be doing the trick though! 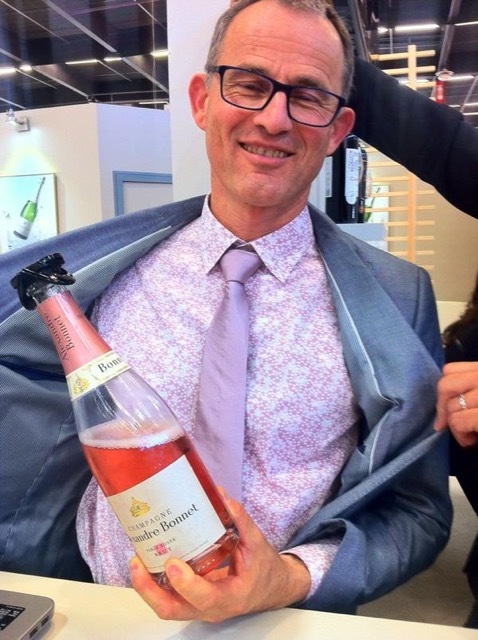 Loudest shirt: Alain Pailley of Champagne Alexandre Bonnet is 100% on brand, colour coordinating shirt and tie for the day to his Rose Champagne. After party heros: At the end of a long day, many exhibitors (and this visitor) gravitated towards the harder stuff. The bar team at Meukow Cognac were kept busy, preparing delicious Pisco Sours and Old Fashioneds to wash down the day. Although by days end one or two visitors had suffered from too much sun, the crowd were largely well-behaved. The finishing line of this booze-soaked marathon is in sight, so it’s time to throw back some much-needed water and prepare for the home straight. Giddyup. First of all, I like those legs! The Vespa is super cool. The black bottle is hard to read, but the photo is great with all the shapes and colors. I love the purple shirt and tie on the guy in the last photo. As far as mixing wine and tea with other beverages, when I drink tea, I’ll sometimes put lemon in it, and I drink wine straight up. But I’m with Conrad, if people like to mix up their drinks, who am I to tell them any different. When we lived in Spain the teenagers mixed Coca Cola with cheap wine to make calimocho. It sounded horrible, but they said the wine with the Coca Cola gave them a quicker and different kind of buzz. Whatever! After that the first stanza of “Lola” by the Kinks — “I met her in a club down in old Soho. Where you drink champagne. It tastes just like Coca Cola, C-O-L-A cola” — made a lot more sense to me. Whatever floats your boat. Tinto de Verano (summer red wine) is a popular Spanish drink- red wine with soda. In 35 degree Spanish summers it is seriously refreshing! The shirt and tie are nice. I’ll leave the sprite out of my wine and the milk out of my tea. But to each their own. My wife and kids dunk their cookies in their milk. I don’t really like to mix anything. 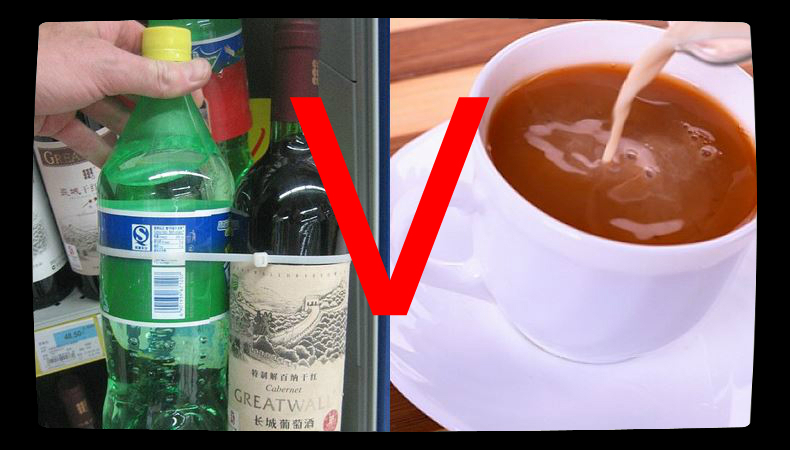 I should have been a rocket scientist: food and drink in neat, discrete little compartments, anyone?